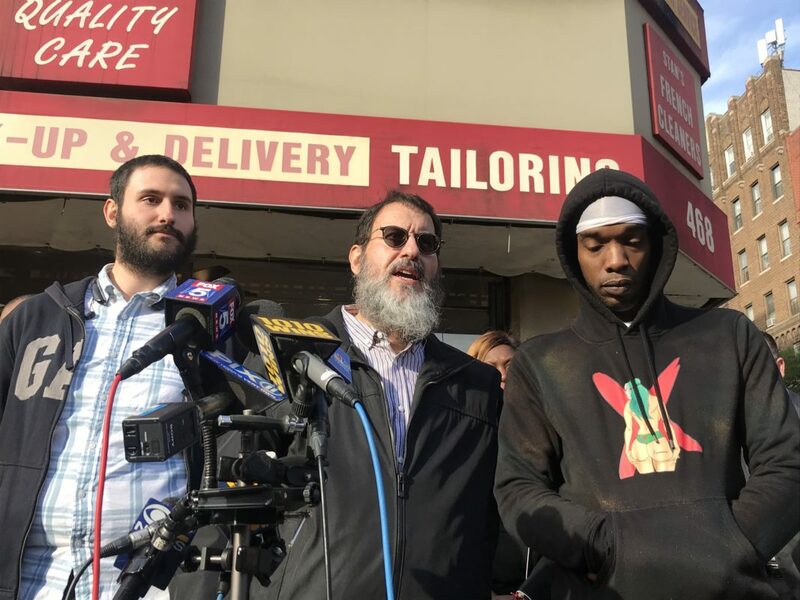 CROWN HEIGHTS – Several lawmakers came out to Crown Heights Tuesday to speak out against a recent attack on a Jewish man but the man that helped to detain the assailant said it wasn’t a hate crime. Erroll Webley, refused to speak in front of a gaggle of cameramen and reporters on Tuesday, as lawmakers flocked to a Crown Heights corner to denounce an attack what is being labeled as a hate crime. Instead, he spoke with no microphone, off to the side, in front of the dry cleaners where Monday’s attack took place. “Community control was going to attack him after I stopped the kid,” said Webley, of the assailant apprehended by NYPD. Webly, a long-time Crown Heights resident is one of three men who helped capture 18-year-old Shervy Taylor, accused of striking a 26-year-old Jewish victim on his back with a stick Monday. Webley apprehended Taylor, after he saw his Jewish neighbor Yoni Biston running after the assailant, but stayed when he felt the assailant was in danger from members of the Crown Heights Shomrim — a neighborhood watch group made up of Orthodox Jewish members in Crown Heights. “The guy [Shomrim volunteer] was grabbing him like he wanted to rough him up,” said Webley of the interaction between Taylor and the Shomrim members. Webley insisted on waiting for the arrival of NYPD officers. Webley also insisted that members in the community stop making it about race and religion and said he’s often felt uncomfortable living among his Jewish neighbors in Crown Heights. Webley did add that Shervy seemed to have mental health issues. So yet again lawmakers including City Councilmember Laurie Cumbo, State Sen. Jesse Hamilton, and Assemblymember Diana Richardson and local Jewish leaders gathered to speak about unity and peace. “If diversity is not what you love about this city, about this borough, then this is not the borough for you,” said Cumbo. The city has been a hotbed of attacks towards Jewish community members this week. On Sunday, an incident against a Jewish man in Borough Park incited an outcry and swastikas were discovered in Harlem. 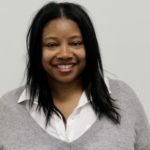 According to Public Advocate Tish James, hate crimes have increased and the lawmaker attributed the rise to President Donald Trump and his administration. Taylor is charged with assault in the second degree as a hate crime, menacing in the second degree as a hate crime and criminal possession in the fourth degree. Like Webley, let us be charitable enough to consider hostile people as individuals and that they might be mentally ill rather than deliberately seizing on an opportunity to amplify racial or religious tribalism. This contasts with the responses to the Cornerstore Caroline event (https://bklyner.com/cornerstore-caroline-rally/) and when a stoned, mentally ill, possibly homeless loiterer told someone “take it off” (https://bklyner.com/take-it-off/, https://bklyner.com/day-of-visibility-ave-h/), in which the offended parties took every opportunity to interpret the offense on a group level. Only in this case Alex, only the author of this “article” went deliberately out of her way to amplify the “racial/religious/group/tribalism.” See, if you take a minute to watch the video you would see that there was never a feeling that anyone may use physical violence, it was only Webley who did so both by hold the victim down by his throat, then again by grabbing him by the shoulders and slamming him down then placing his foot on his chest. And the shameless attempt to recast the “hate” element based solely on the word of the second aggressor – Webley – and not that of the NYPD’s own determination that the enhanced charge of “Hate” was applied simply because of the unprovoked and violent nature of the assault (http://crownheights.info/crime/621088/teen-attacks-jewish-man-with-stick-charged-with-hate-crime/) and the Brooklyn DA’s decision to press forward with the assault as a felony hate crime, should not lead us to ask if this was a mental issue, rather face it head on and for what it truly is.